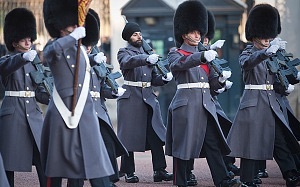 The head of the British Army is looking at proposals to recreate a Sikh regiment, a minister has said. The Chief of the General Staff is examining the feasibility of a Sikh unit, including the possibility of a reserve company, and it “may well have merit”, Mark Francois told the Commons. A new unit would inherit many of the “proud traditions of Sikh regiments” from the Army’s past, he said. Thousands of Sikh soldiers served in the British Army in the 19th century and in the First and Second World Wars, and 10 Victoria Crosses have been won by soldiers serving in Sikh regiments. several times in the past. One recent attempt was abandoned in 2007 by the Ministry of Defence amid fears that the move would be branded racist. Speaking during defence questions in the Commons, Conservative former defence minister Sir Nicholas Soames urged ministers to “do away with political correctness” and raise a Sikh regiment.